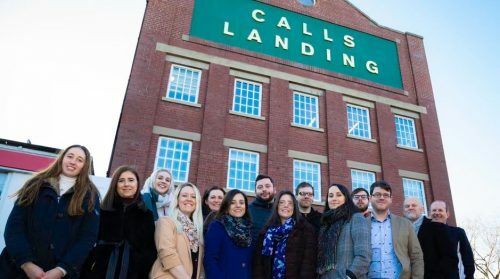 The company, which has been based in Headingley since it was founded by James and Jill Harris 30 years ago, has gained six new clients since December 2017, increasing the company’s fee income by more than 20%. Last year also saw Harris welcome five new employees; PR account executive Amy Holmes joined in April 2018, followed by videographer Josh Hall, digital developer Ross Lammin, junior designer Emily Kaye, and designer/developer Matt Bornshin. As a result of this growth, Harris has relocated to a 1,150 sq ft office is in Calls Landing in The Calls area of the city centre. Kirsty Scott, head of PR, said: “We started the year on a high, welcoming new clients including leading paint and coatings manufacturer Crown Paints, Corian UK distributor CDUK, structural frame specialist B&K Structures, and bespoke joinery company Cre8. We also increased our activity with several of our long-term clients, putting us in a very strong position for 2018. As well as offering architectural photography and video, Harris also offers social media management and training, public relations, web design and development, and digital marketing. Neil Craven, design director, added: “The construction industry in the UK is transforming with the development of digital construction, modular construction and modern apprenticeships, and we are proud to be supporting our clients through these changes.